10.7" x 13.0" stitched on 14 count. 8.3" x 10.1" stitched on 18 count. 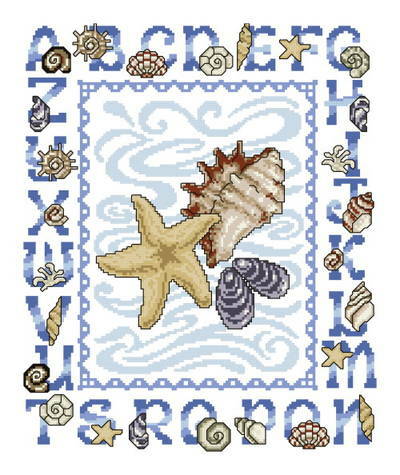 Seashell Alphabet cross stitch pattern... Such a pretty design for your beach, bath or seaside room.